American Indian halfback who led the New York Giants to the 1927 NFL championship over the Bears with his game-winnning touchdown. 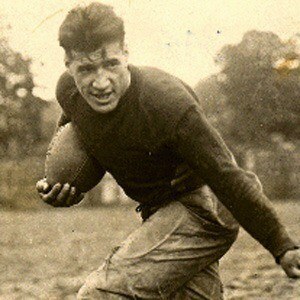 He was an All-American at Georgia Tech, part of their 1917 national championship team. He also played professional baseball with the Louisville Colonels in the American Association, the highest league in the pre-major league days. He was born a member of the Chippewa tribe on the White Earth Indian Reservation in White Earth, Minnesota. He was teammates with another legendary Indian halfback, Jim Thorpe, on several NFL teams.